Indie Retro News: LIMBO C64 - Modern Indie game as a work in progress on the C64 gets a rotten meat teaser! LIMBO C64 - Modern Indie game as a work in progress on the C64 gets a rotten meat teaser! We haven't featured this work in progress C64 game lately, but you'll be pleased to know the modern indie game ' Limbo ' as a C64 game, has been teased again but this time with a rather meaty preview teaser! What was originally a proof of concept by the creator Søren Trautner Madsen and backing of Playdead, looks to be going into a long term project, as not only did the developer release a preview demo last year but it now has clear sound effects keeping that horror overtone intact. This is once again incredible news for fans of the original game and owners of a C64, as having Limbo on the C64 is an impressive undertaking indeed, especially when you consider the game was only just released in 2011 on the PC with people rating the game very highly. 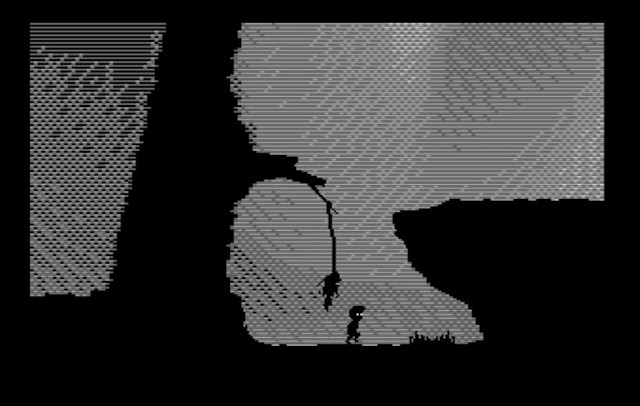 Limbo is a dark and creepy game, and one I feel would suit perfectly to the C64 especially when it does get its eventual full release through 2024 :p.